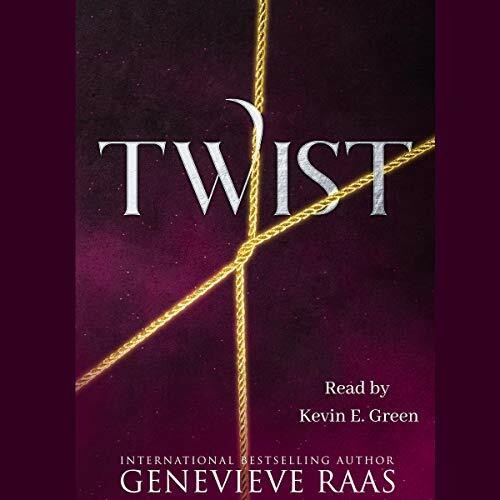 In this heart-stopping continuation of the international best-selling Spindlewind trilogy, Rumpelstiltskin finds himself locked in a battle of blood, debts, and destiny. For the past 19 years, Rumpelstiltskin has kept his promise to Laila, the miller's daughter. Her son, Tristan, must never know the dark deal they made surrounded by straw and gold. But keeping the truth from a curious Tristan is the least of his troubles. He can't escape the chill of bodiless eyes watching him. Wanting him. Hunting him. When an oracle confirms his greatest fear, she also confirms his greatest hope. A hope and desire he believed long dead. Or is it a trick to lure him into what he wants most to avoid? Unable not to take the risk, he descends into a realm rife with danger, dreams, and shadows to face the deity he despises: fate. Soon, dream turns to nightmare as Rumpelstiltskin finds himself again propelled on a path he never wanted. Caught between love and fate, Rumpelstiltskin must decide if he will choose the path to protect his own soul, or save that of the woman he damned. This is a great follow up to the series. It explains more of the how and why woven in the first audiobooks. Narration is great just like in Spin. What a fantastic sequel! I enjoyed listening to this story and can’t wait to hear more from this narrator. He brings all his narrations to life! After enjoying the first book I was looking forward to this second instalment in the trilogy to see where this version of the story would go. I was not let down. Where as the first book kept me listening due to the narrator, this one not only had good narration but I felt the story line was stronger. Looking forward to finding out how all the 'Twists' and turns will end up.